Rock-a-bye baby when the app syncs, mother will know the results on the sink, but while she waits puppies will play for the few minutes of the delay. Waiting for a pregnancy test to pop out a verdict can be incredibly tedious. That stands true if you are hoping to be pregnant, or if you are hoping you aren’t pregnant. 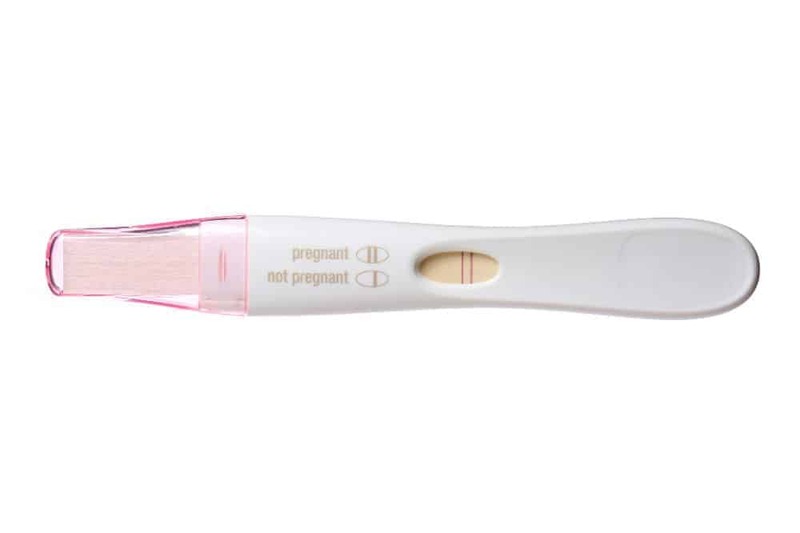 Some pregnancy tests like making things fun by giving the results as a smiley face or a frowny face. Others might include a heart around the word, “YES.” For people hoping that the test will output a “Not Pregnant” result, those images could be like a blunt kick to the face: unpleasant. As far as that terrible few minutes of waiting, an hourglass or countdown is more likely to add to anxiety and agitate those butterflies in the belly. First Response attempted veer away from these standard images that don’t always fall in line with their intentions. The First Response Pro Digital Pregnancy Test Kit doesn’t just give you puppies to look at while you are waiting. The Bluetooth synced app, in the case of a “Yes” verdict, also continues to send you helpful information for the duration of your pregnancy. So how does this high-tech pregnancy test compare to other low-tech pregnancy tests? Admittedly, the First response Pro Digital Pregnancy Test Kit has some cool features going for it. Mainly, the decision to develop an app for this product will really help it appeal to the growing number of young, tech-savvy individuals who are beginning to start families of their own. For lovers of the latest technological advancements, the First Response Pro Digital Pregnancy Test Kit is perfect. It might also be perfect for people who are calmed by adorable puppies, or even people who would love a little more pregnancy support from an app on their phone. This kit is not perfect for a lot of other people. That includes anyone who doesn’t have a smartphone, anyone who is technologically challenged, or anyone who wants to take the test quickly (app setup takes time). It is also important to note that while the Bluetooth sync might be secure, that doesn’t guarantee that the app is secure from hackers fishing for data. This kit would probably not be a good choice for anyone looking to keep their pregnancy a secret. If the mother finds herself in a bad relationship situation with someone willing to go through her phone, an app saying she is pregnant could be fuel on a dangerous fire. On the other side of this coin, trying to keep the pregnancy a surprise could go sideways if someone unintentionally catches a glimpse of an alert popping up from the app. The First Response Pro Digital Pregnancy Test Kit is a great concept…in theory. Right now, however, there are still some kinks that need to be worked out. Considering that this is the first Bluetooth capable pregnancy test, that is understandable.